It is common in Brazil to bring gifts and beer is always appreciated. 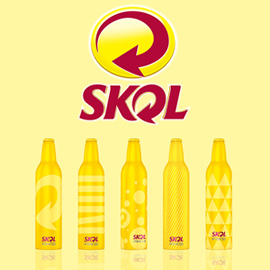 You could bring a special edition of Skol, a beer that comes in an aluminum bottle. Turn Skol’s aluminum bottle into the perfect gift for friends with your graphic design proposal. We want to know the story behind your idea. This means that on top of the design itself, your creation needs to tell us what inspired you, why you think it could become a nice and cool gift and how it is linked to Skol’s personality (which is young, cool and innovative). Click here to see the full brief and to participate! Please send us your entries before December 08, 2013! We wish you good luck!